Review originally posted on www.chooseya.com/ on 29/11/2011.It is rare to find a book that just hours after reading you already want to start again; for me, Divergent was one of these novels. Dystopian YA is everywhere at the moment, and while dystopian novels, including those aimed at children and teenagers, have been around for decades, big series like The Hunger Games have rendered dystopia just as hot a topic as vampires were four years ago.Tris is a great heroine, she is strong and self-aware. She does not need to be defined by men, knows her limitations and is brave. Her acknowledgement of her flaws and inability to be as selfless as her family is both mature and commendable. 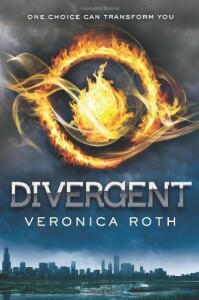 Basically Tris is relatable despite her ‘special’, rare status as divergent.For me the strongest section of the book was the protracted, tense initiation process into Dauntless – a faction for whom not making the top ten initiates means being expelled and rendered factionless (a very bad thing). Tris grows so much as a character in this part and evolves from a young, underexposed and curious girl into a strong and brave heroine. 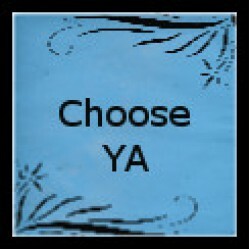 The fact that we, the reader, get to witness this change is one of the novel’s fundamental strengths.Dystopian YA novels often have romance too, let’s not deny this. Last year, novels like Delirium and Matched played with the ideas of arranged relationships and love, The Hunger Games trilogy had the inevitable love triangle for Katniss between Peeta and Gale. Divergent’s romantic sub-plot is well-written and developed. Tris’ romantic interest is engaging, mysterious, complicated and funny. One of my favourite exchanges in the novel is in the development of their romance [warning, here be spoilers on the love interest, read on at your own peril, etc]:“ “But you’re older than I am… Tobias.”He smiles at me. “Yes, that whopping two-year gap really is insurmountable, isn’t it?” “(337)This light hearted sense is a welcome palate cleanser to some of the more brutal scenes where Dauntless training really is well, daunting.I do not wish to spoil the ending of this novel for any readers (beyond what I have already spoiled about romance) but the last hundred pages are brutal. Roth spares no punches and proves many characters disposable and leaves the reader giddy after a rollercoaster of action and emotions. There is obvious growth for a sequel and for the plot, more will be necessary. I need to know what happens next, how characters cope and what will happen to the world Roth has created.Divergent is a book I wish I had written myself; it has a believable, vivid world that draws you in, is well-written and comes with the highest recommendations from ChooseYAbooks.